THIS IS A COMPLETELY SLS AND PARBEN FREE ANTISEPTIC HAND WASH. IT WILL LEAVE YOUR HANDS FRESHLY CLEAN AND FREE OF GERMS THANKS TO THE ADDED TEA TREE OIL AND NEEM OIL. THE OLIVE OIL, COCONUT WILL RESTORE THE MOISTURE LEAVING YOUR HAND CLEAN AND SOFT. THIS IS A COMPLETELY SLS AND PARABEN FREE LIQUID FACE AND BODY WASH. THERE ARE NO NASTY CHEMICALS AND IT’S PREPARED AFTER THE HOT PROCESS METHODE. AMOUNTS OF VITAMINS, MINERALS AND PROTEINS. WE HAVE USED A TEA MADE FROM MORINGA LEAFES AS A BASE OF THIS LIQUID SOAP. THIS IS A COMPLETELY SLS AND PARABEN FREE LIQUID BODY AND FACE SOAP. 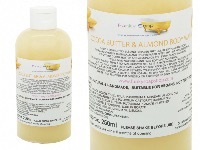 IT IS FORMULATED WITH 90% OLIVE OIL AS IT IS VERY MILD AND MOISTURISING WHILST BEING GENTLE ON YOUR SKIN AND HAIR, IDEAL FOR BABIES, CHILDREN, SENSITIVE SKINS AND SKIN CONDITIONS.